Inspired by Chinese porcelain of the late 18th century, the Chinese Blue Table Lamp by Eichholtz features a scenic pattern painted in elegant blue and white. The pattern depicts a tranquil landscape of traditional Chinese houses and willow trees. With an elegant hourglass shape, the base is framed by bands of smaller floral prints and a contrasting antique brass neck and plinth. 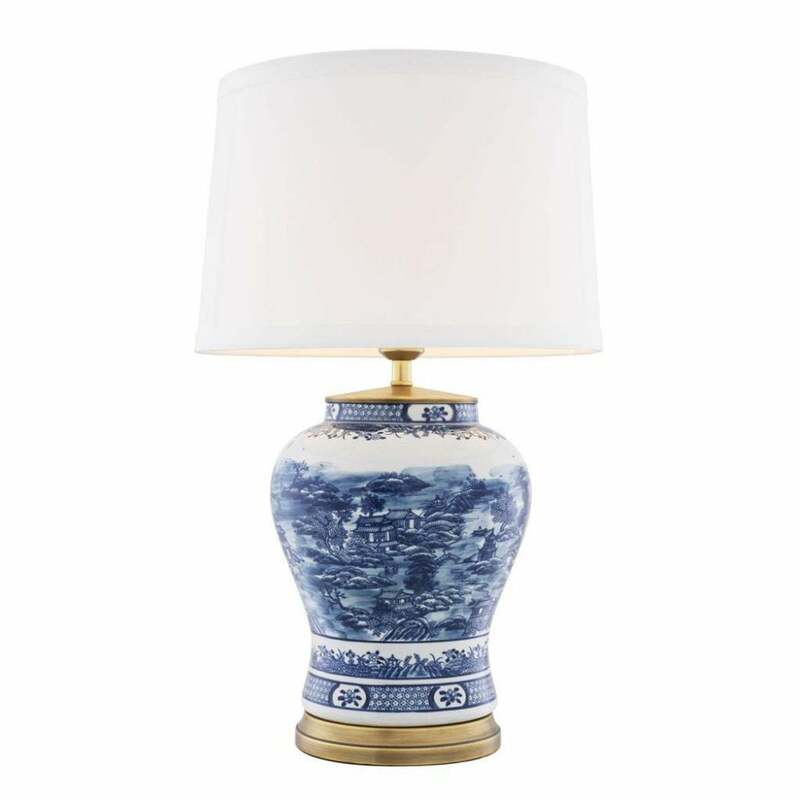 The Chinese Blue Table Lamp showcases the artisanal craft that goes into each Eichholtz piece. Fitted with a luxurious cream lamp shade, combine as a pair either side of a console table to add a welcoming ambience to a hallway or living space. Get in touch for more information and advice.